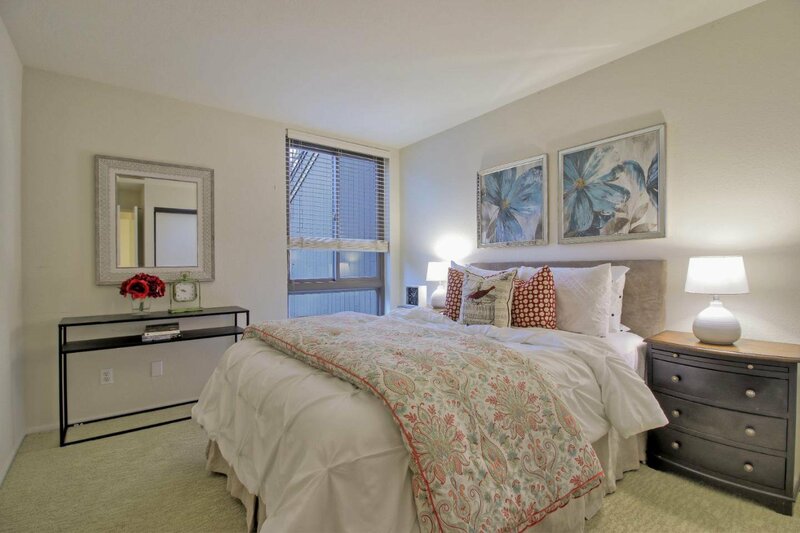 Enjoy stunning sunsets in this gorgeous, highly sought-after top-floor luxury condominium w/two separate, private spacious master suites. 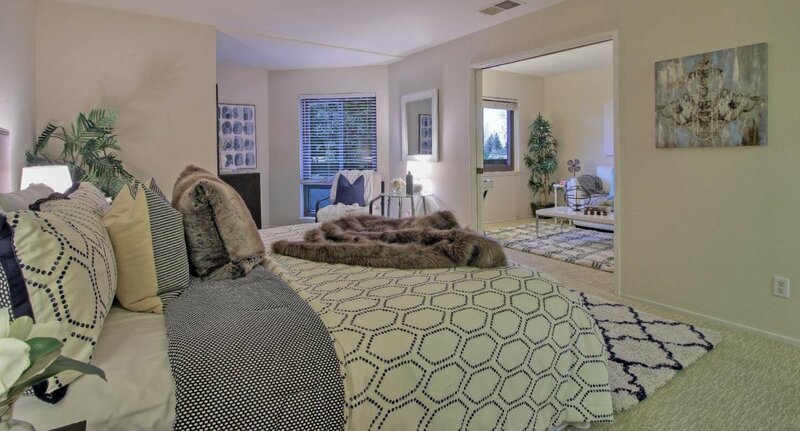 Each with their own bath, these master suites are light & bright. 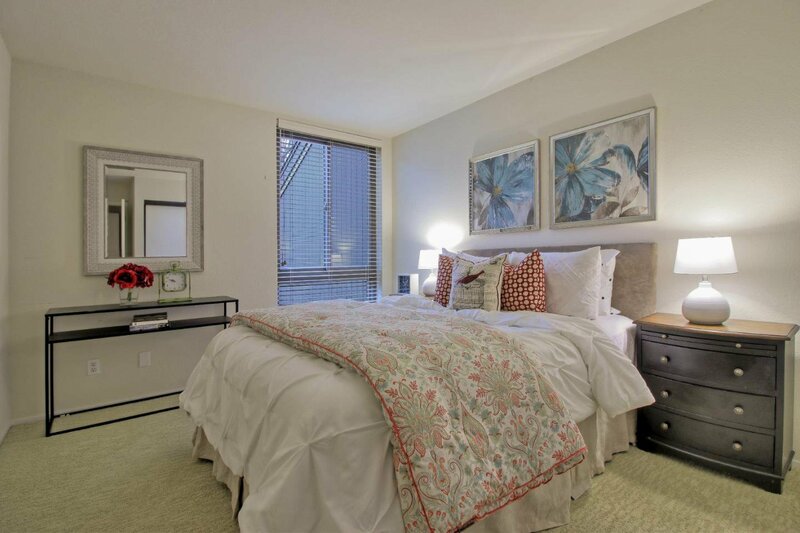 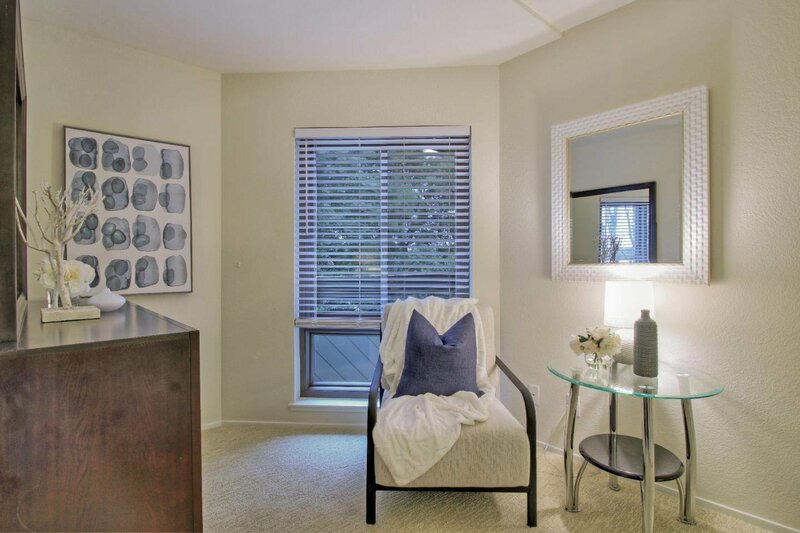 One suite has an alcove, a spacious walk-in closet & an adjoining room. 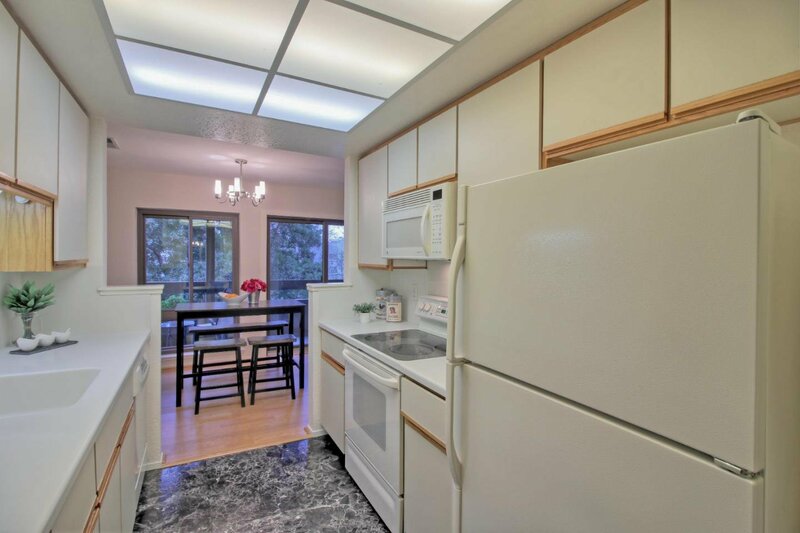 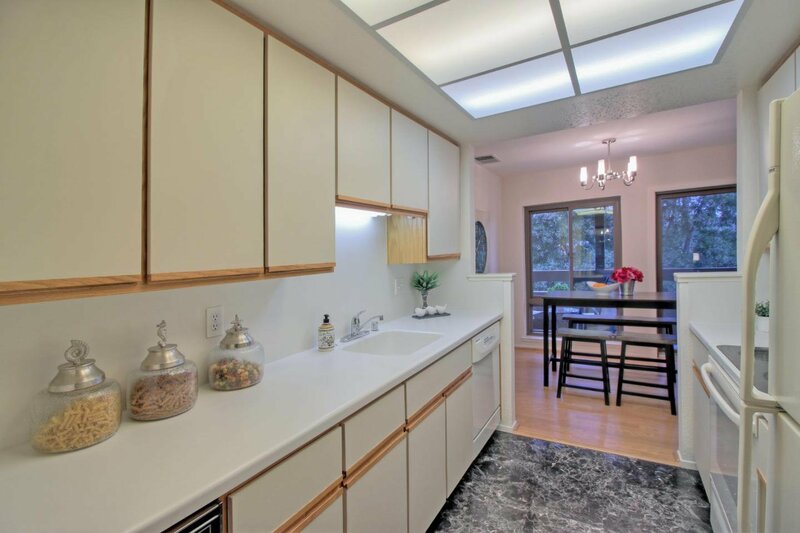 The kitchen features beautiful Corian counters with a neutral backsplash & abundant counter space. 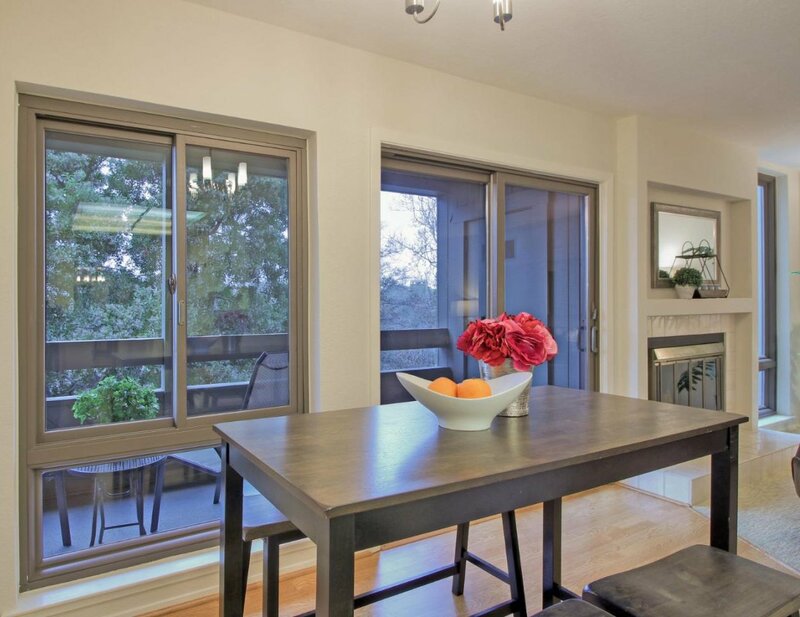 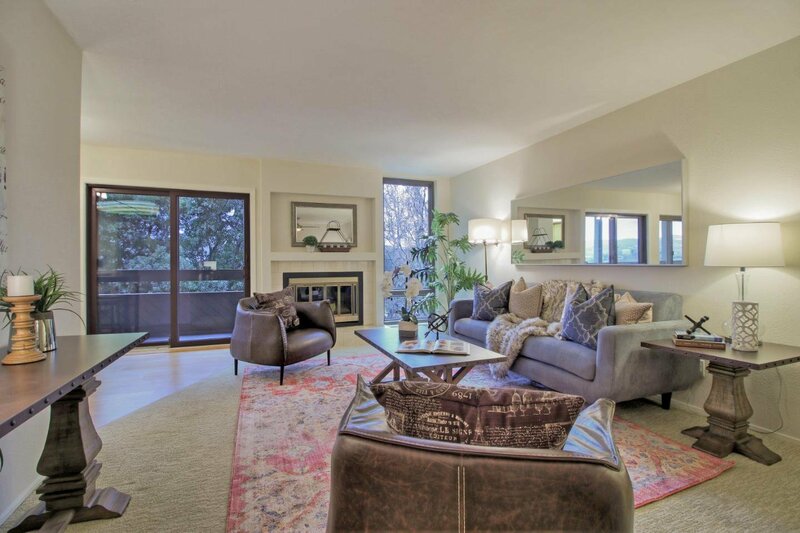 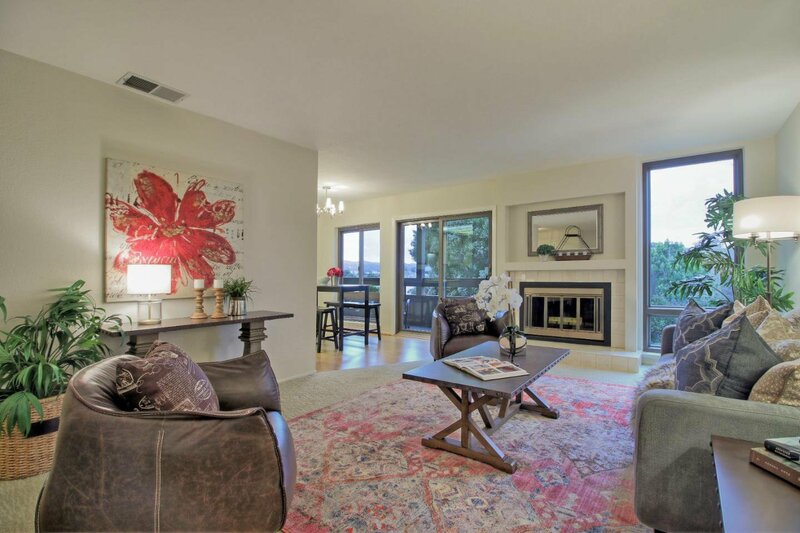 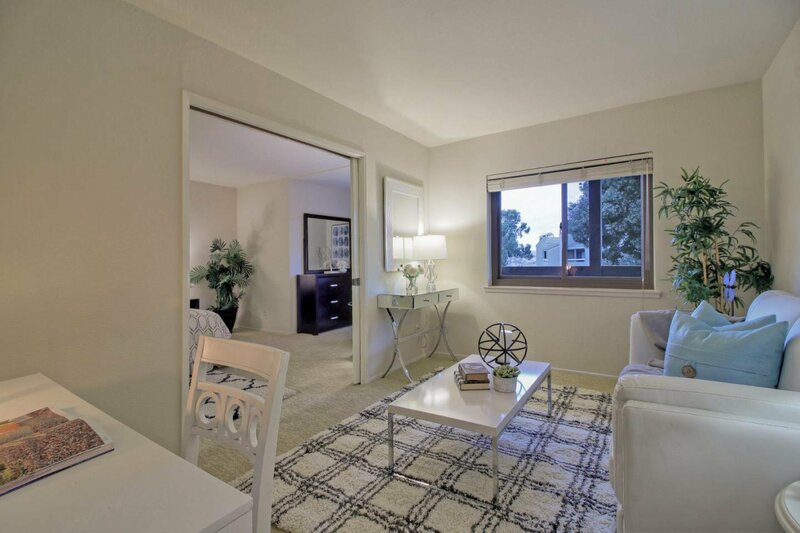 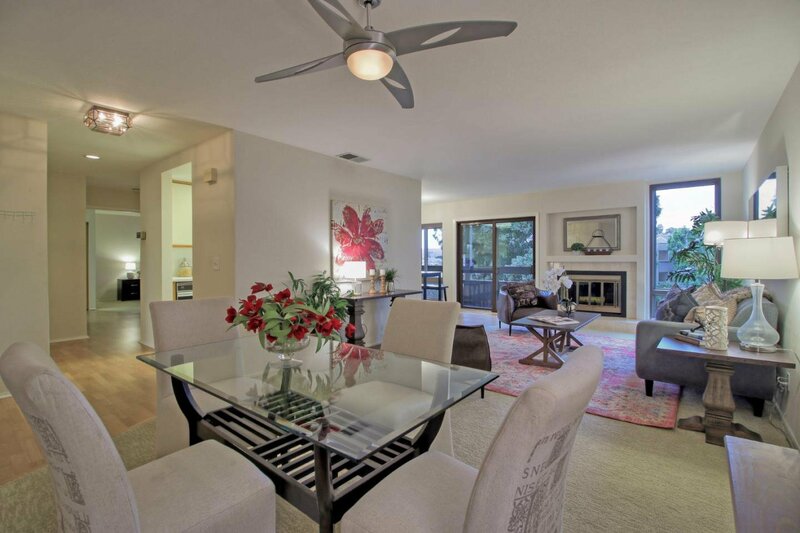 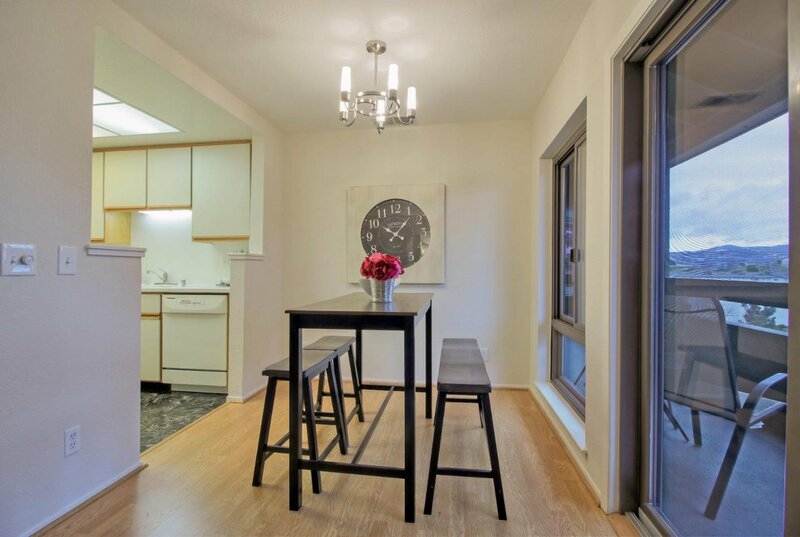 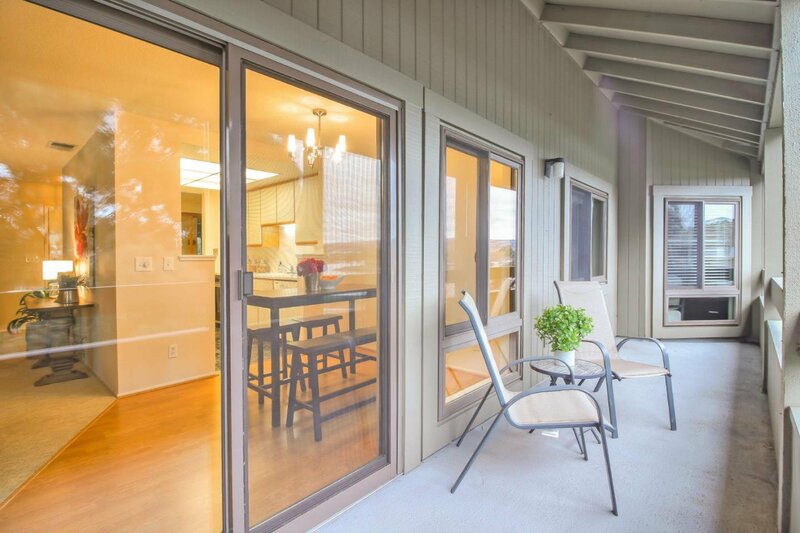 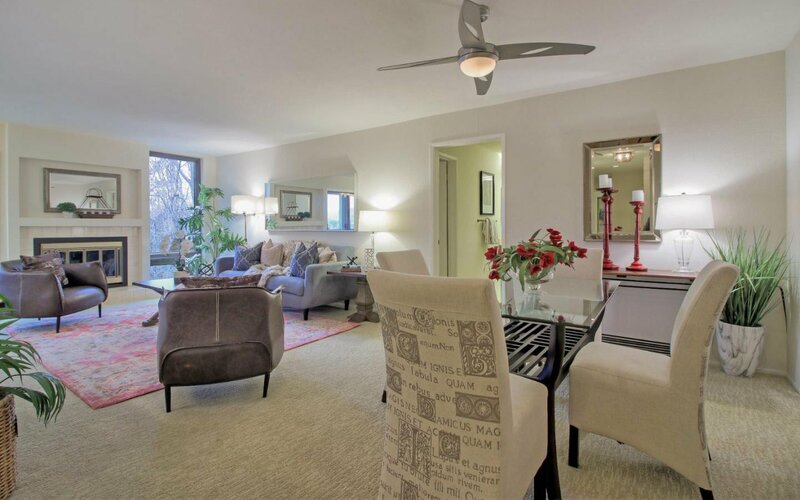 The gracious large living room w/wood-burning fireplace opens to an inviting balcony deck. 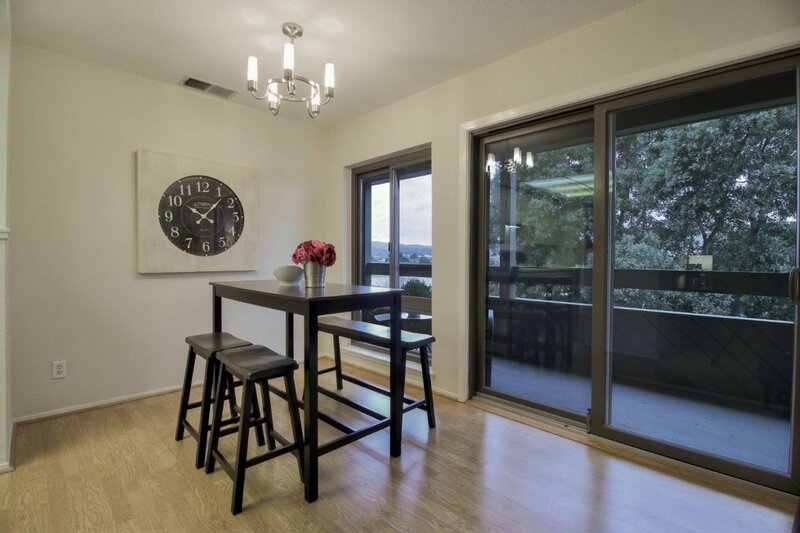 Tranquil water & tree top views abound in this unit. 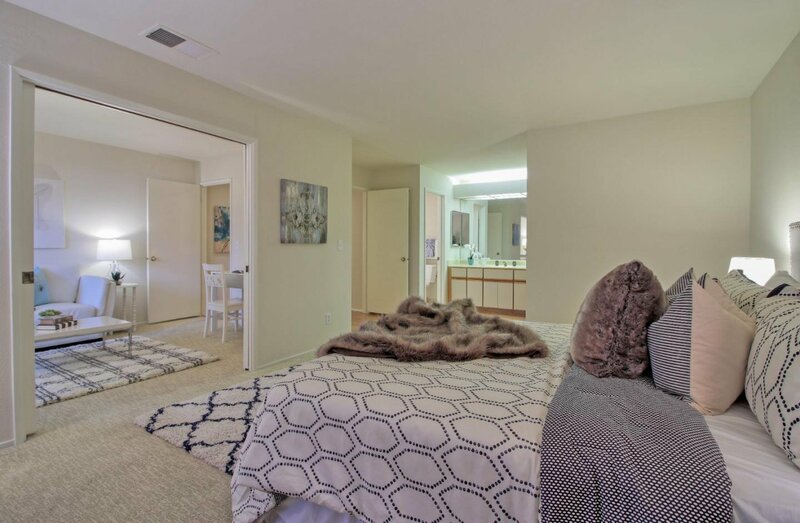 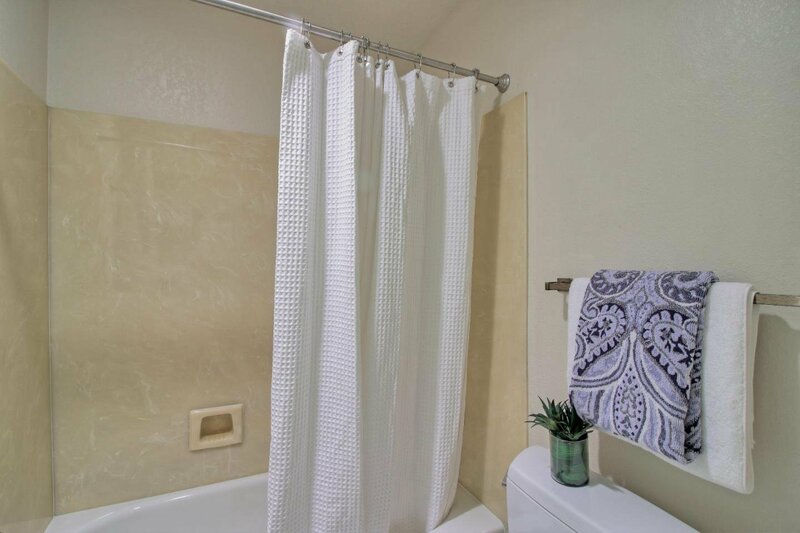 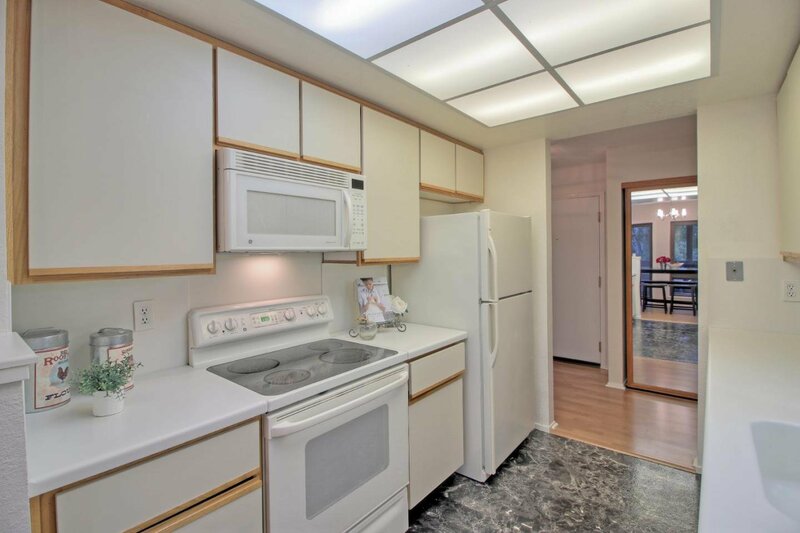 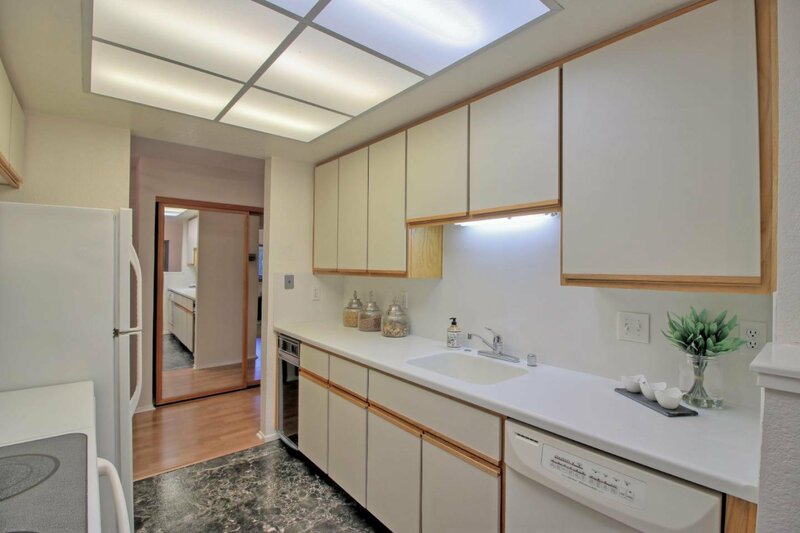 Additional amenities include an inside laundry area, double-pane windows, recessed lighting, an extra large storage space & a security building with deeded parking. 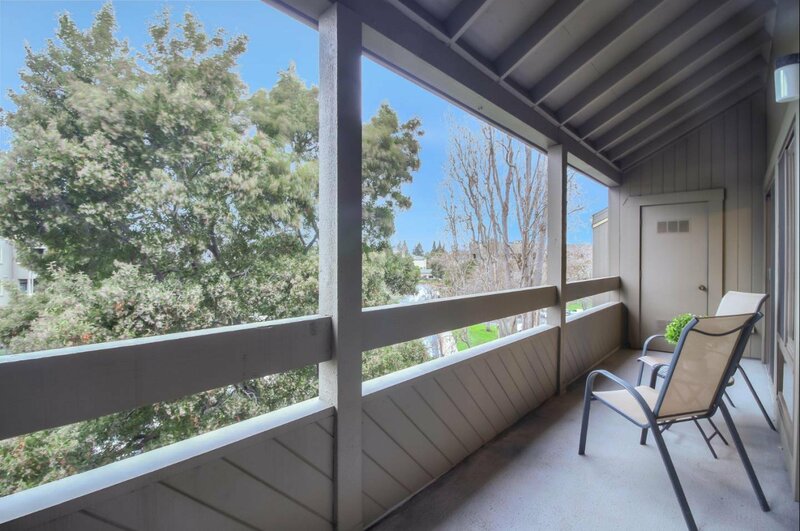 Additional garage parking space is available. 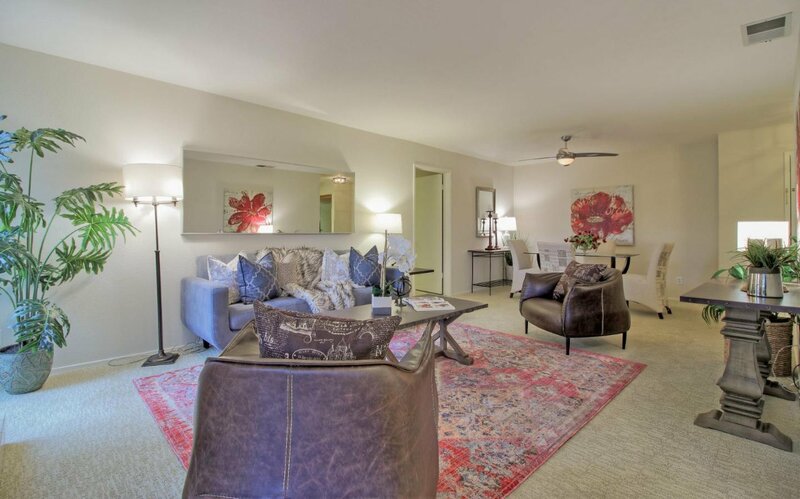 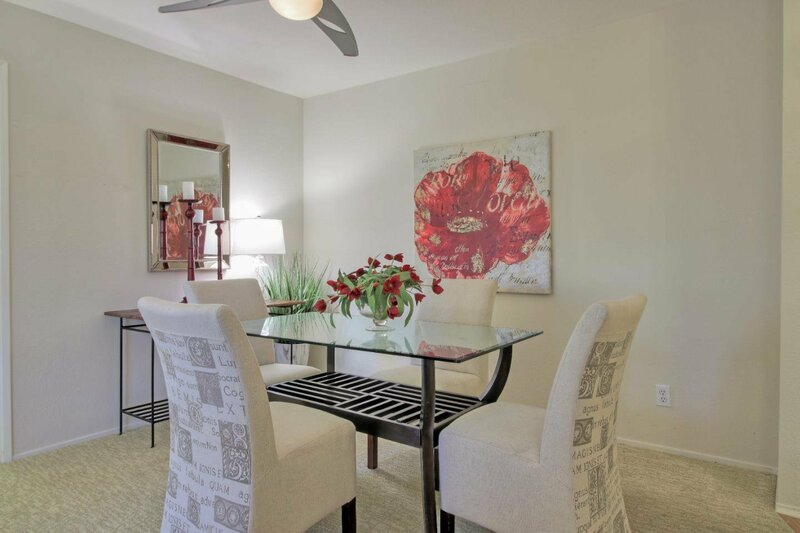 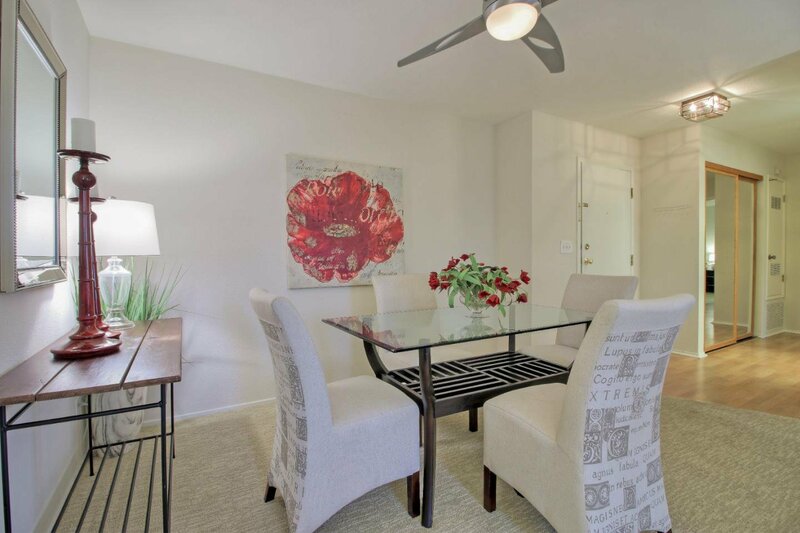 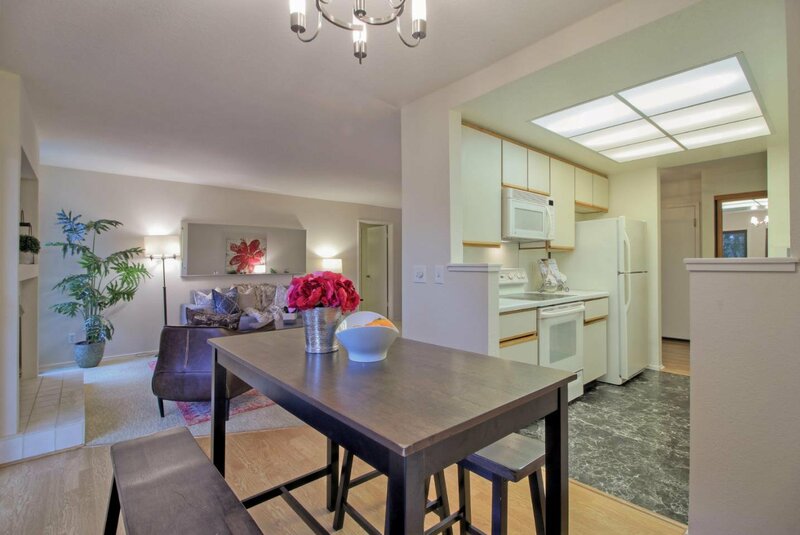 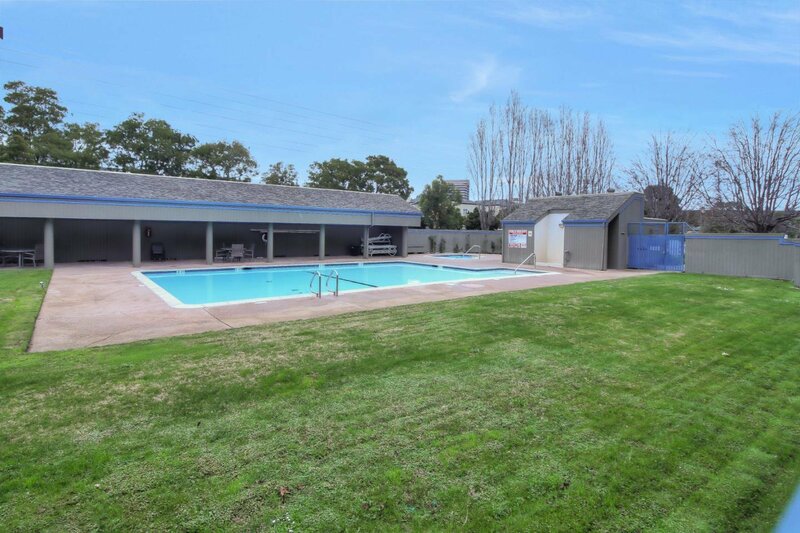 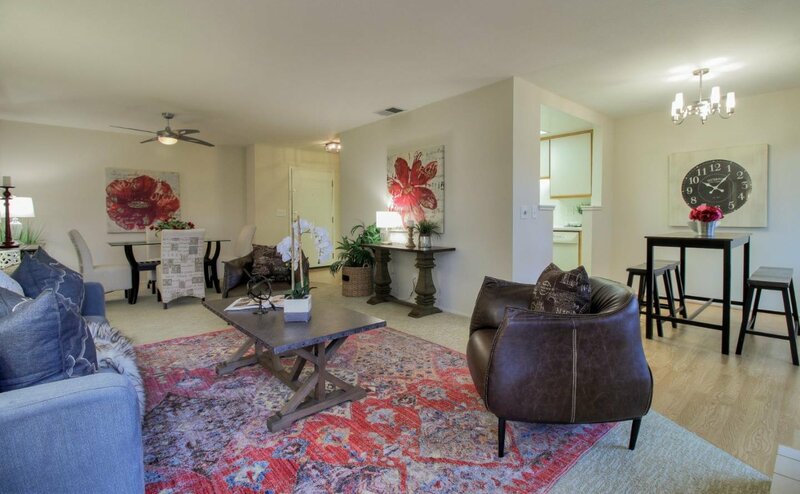 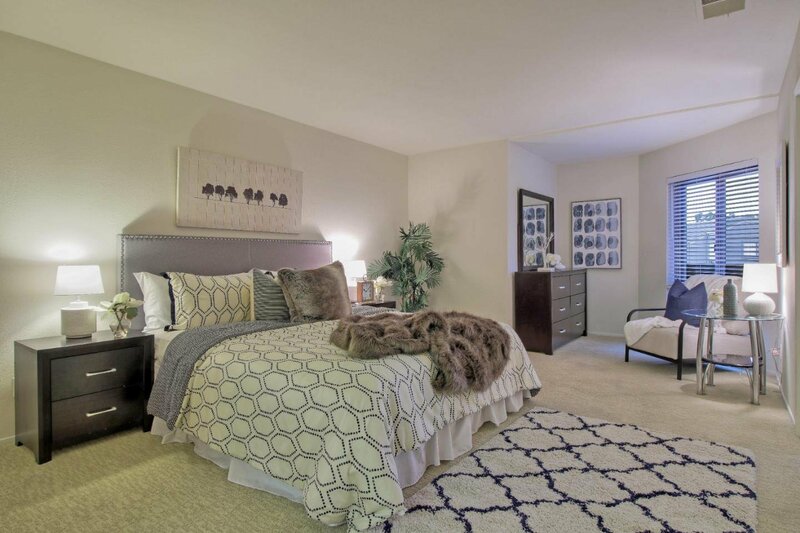 This HOA community offers 2 pools, a sauna, a tennis court, RV parking & a basketball court. 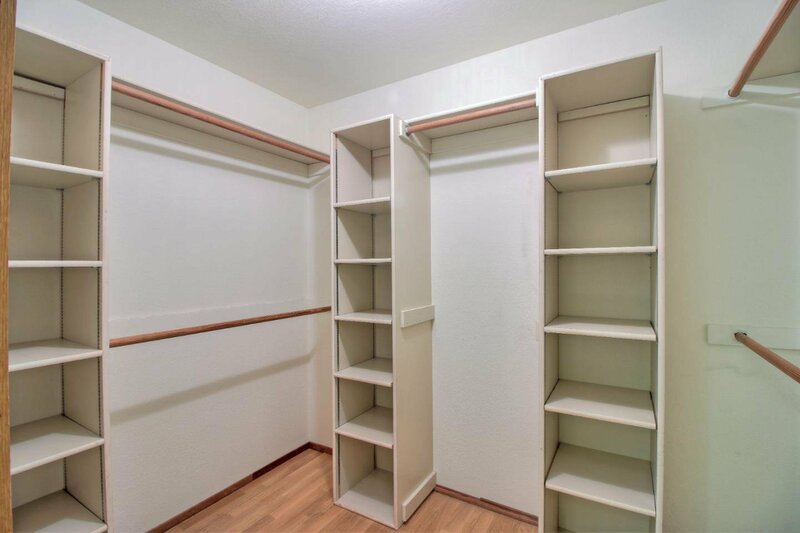 A must-see rare opportunity! 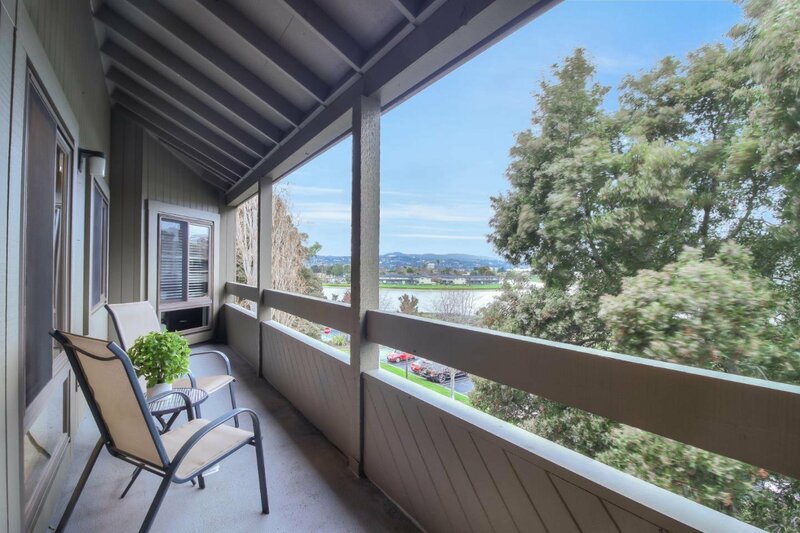 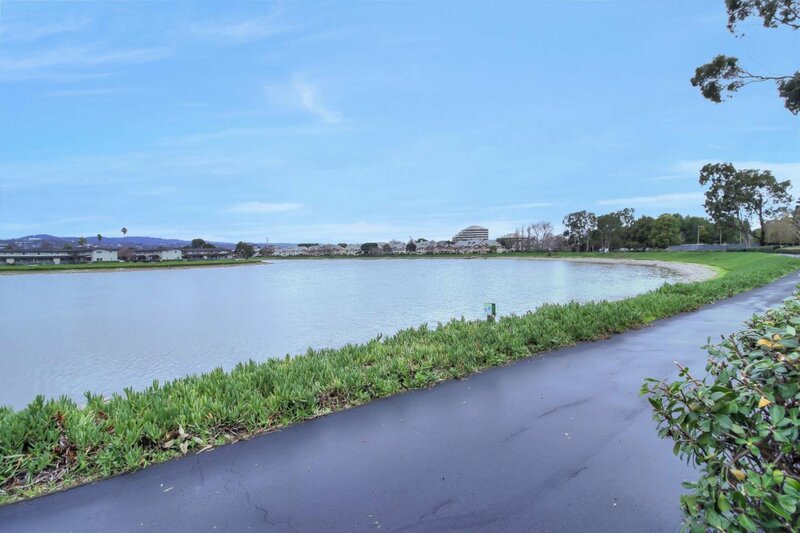 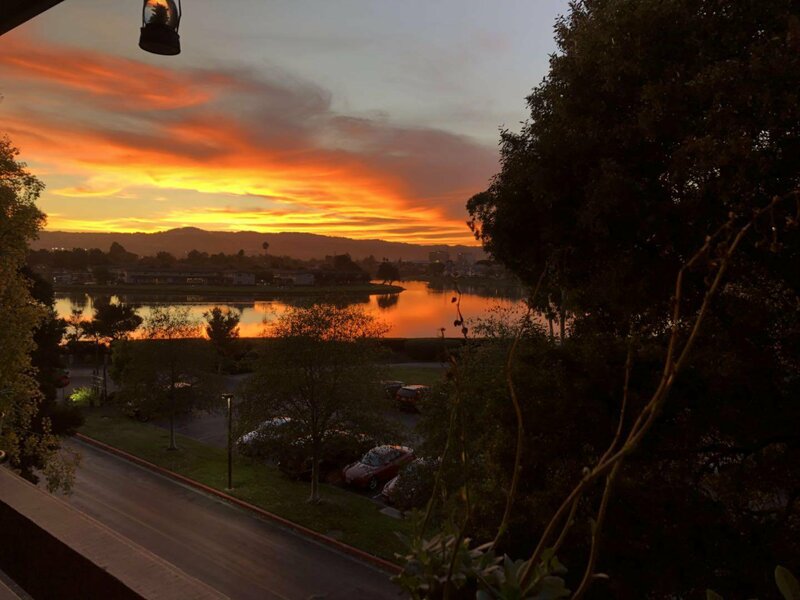 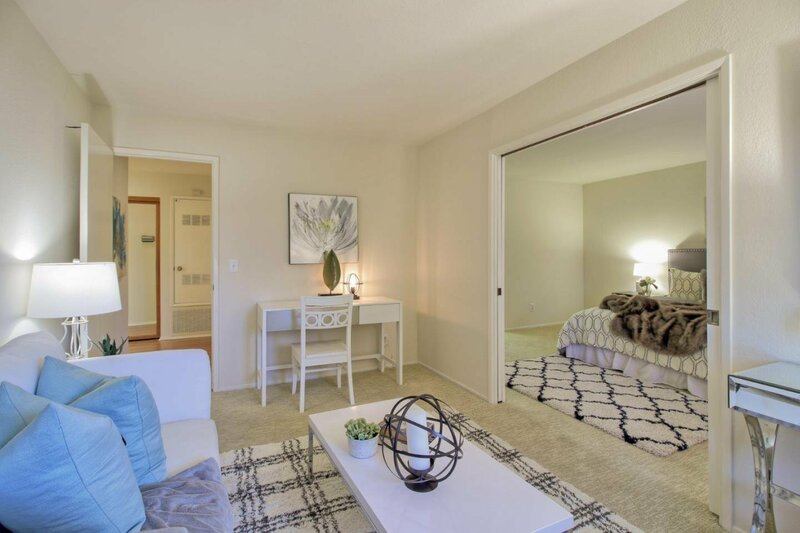 Commuters will appreciate its convenient location to Silicon Valley, East Bay & San Francisco commute corridors as well as public transportation.